No I'm not having a bad day so this isn't an expression of my mood! Yesterday was the Felley Priory Rare Plant Fair organised by Plant Heritage which is less of a mouthful than The National Council for the Conservation of Plants and Gardens which it used to be called. This is a great plant fair held in the beautiful grounds of Felley Priory which I've blogged about before. As always I bought a few plants but I surprised myself with one impulse purchase that I just fell in love with - a blue rose! 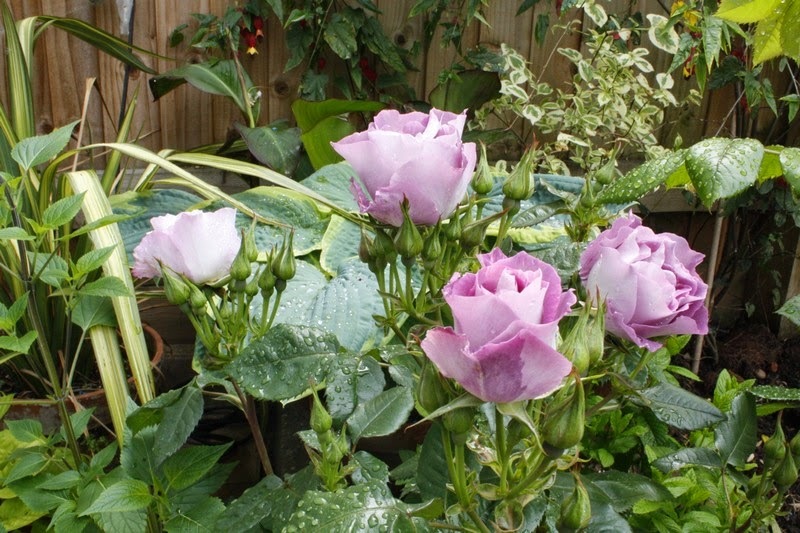 Now I'm not a great rose lover and the whole concept of gimmicky plants such as blue roses is usually a total turn-off for me but I just fell in love with 'Blue for You', whose registered name is the unattractive 'Pejamblu'. 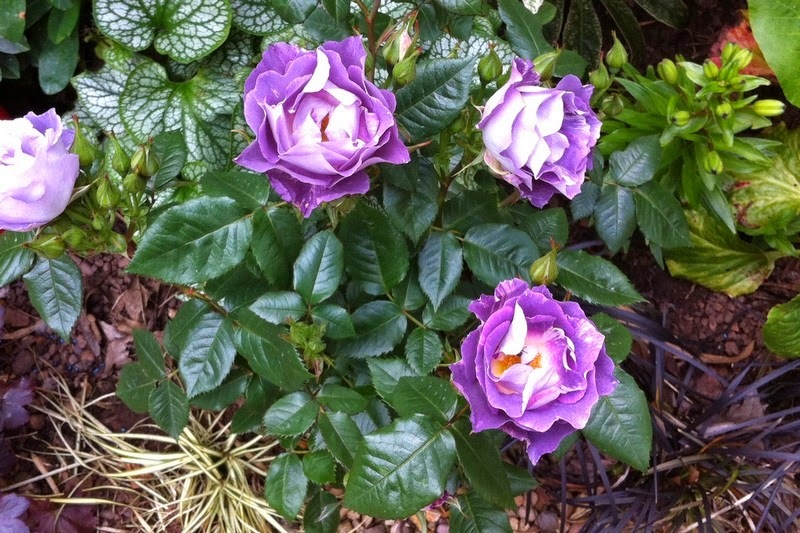 This is a floribunda with beautifully shaped, semi-double flowers in a soft silvery lavender. The colour is quite curious as when I purchased it looked distinctly blue but in some light conditions it appears more of a pale pink. I have to admit it was tricky to capture the colour in a picture. It was raised by Peter James and introduced in 2007. It is virtually thornless and has resistance to mildew and black spot. Now I'm not a great lover of blue in the garden, although I buy a lots of blue clothes - confusing! So the big question is where to site it, as I really have no other blues. I do however have some gaps in my yellow and bronze border so maybe this is the place and buy a few more blue plants to keep it company. Always nice to have an excuse to buy new plants.